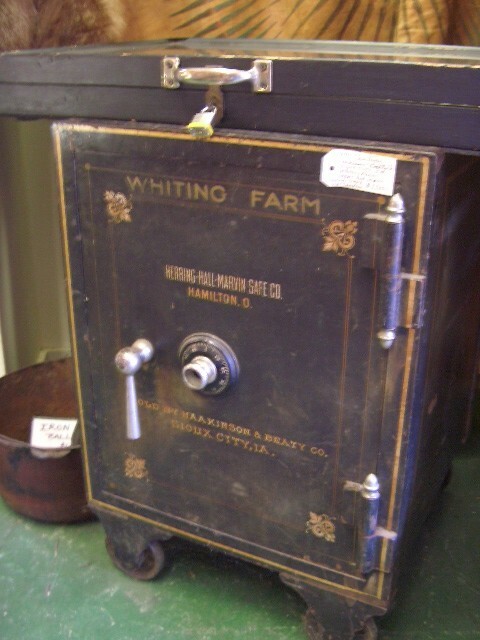 Here is a 19th Century Safe. Not been opened No Combination. It will cost buyer approx. $250. to have it professionally open and given combination. Approx. 30"inches High X 22" X 22"inches. Probably nothing inside but shiney bars of gold. Please email cowboyron@cowboycabin.com with questions or call 406 270-2842.